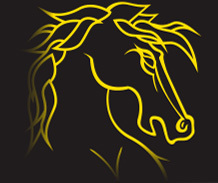 Saddlery Warehouse Ltd was founded in June 1999 by Peter Thorowgood in a small warehouse on Auckland’s North Shore. Peter has over 30 years experience in the saddlery industry dating back to his father’s equestrian business in Browns Bay, Auckland. After learning the trade Peter then headed to England and started Thorowgoods Saddlery, taking his new ideas right to the heart of the leather industry in Walsall, England. He started designing and making synthetic saddles, these were not only lighter but more comfortable for horse and rider and far more economical to manufacture. At the time Thorowgoods Saddlery was one of only four Synthetic saddle manufacturers in the world and Peter quickly became Britain's largest saddle maker. In 1994 Peter returned to New Zealand drawn back by family and the great Kiwi lifestyle. He started a small business venture testing the New Zealand market with Thorowgood Saddlery in Ellerslie. It was during this time Peter realised that people here were paying too much for their equine needs and he wanted to do something about it. However, it was a chance encounter with a friend from the UK that really planted the seed. This gentleman, after having had a particularly bad day, expressed that he thought it would be a good idea to stop supplying to retail and to open a big barn/warehouse environment and sell direct to the public! It just took someone like Peter to put his already vast equine knowledge to use and tap into his overseas connections – thus The Saddlery Warehouse was born. Most of our customers would have been to our traveling sales when Peter and his band of merry men would load up a truck full to the brim and travel the length and breadth of New Zealand from Kaitaia to Invercargill, stopping at every race track and town hall along the way to hold wonderful sales the likes NZ has never seen. Over the years, we compiled the names from our traveling sales and created a huge database now standing at over 30,000 customers. We are proud to be New Zealand’s largest Saddlery Store. We remain committed to bringing you the lowest available prices online and through our 13 stores nationwide in Whangarei, Albany, Kumeu, Pukekohe, Cambridge, New Plymouth, Hastings, Palmerston North, Wellington, Nelson, Christchurch, Dunedin and Invercargill. If you would like a Saddlery Warehouse in your town and think you have what it takes then get in touch for some more information on a Saddlery Warehouse Franchise.